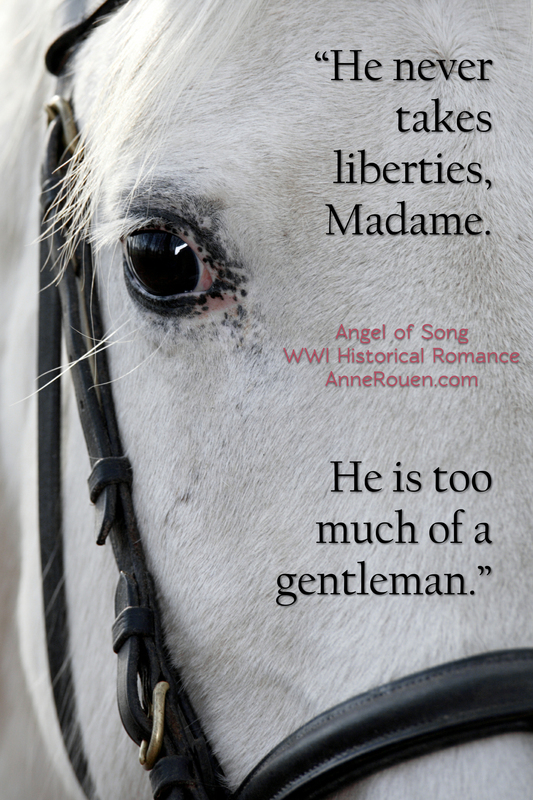 “He never takes liberties, Madame. 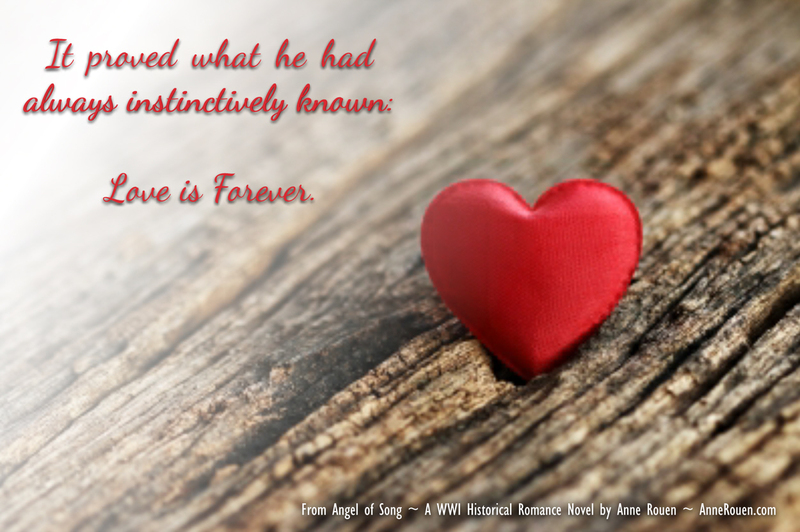 He is too much of a gentleman.” Quote from Angel of Song by Anne Rouen. 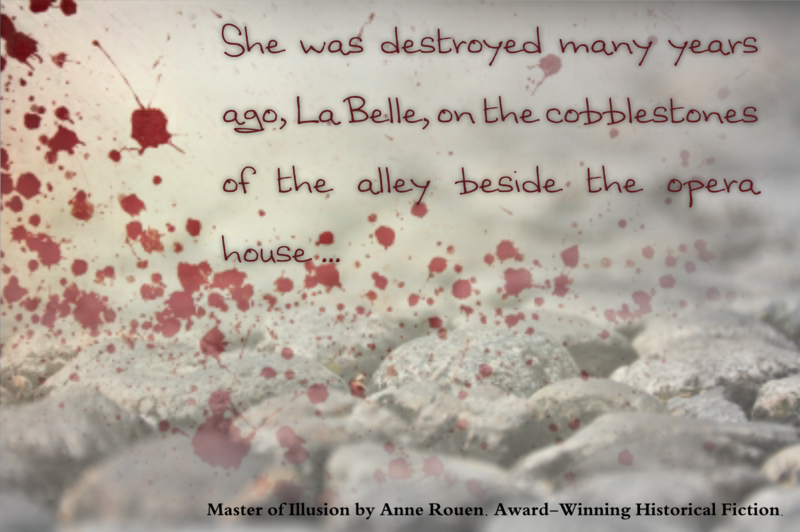 “She was destroyed many years ago, La Belle, on the cobblestones of the alley beside the opera house …” Quote from Master of Illusion Book Two by Anne Rouen. 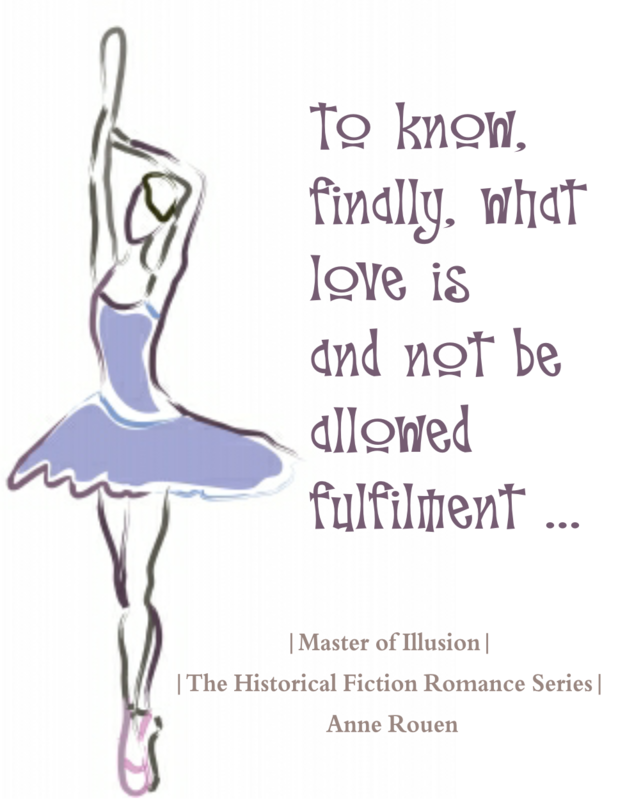 “As in all great cataclysmic events, men are forced to show their true colours. 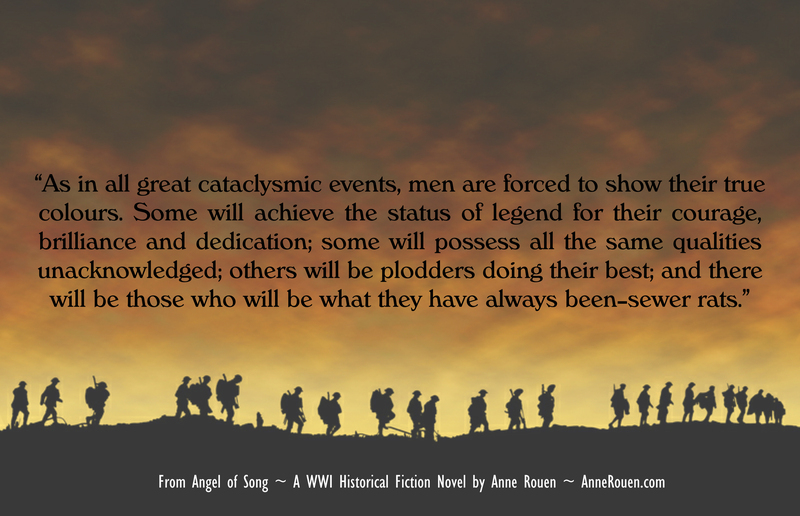 Some will achieve the status of legend for their courage, brilliance and dedication; some will possess all the same qualities unacknowledged; others will be plodders doing their best; and there will be those who will be what they have always been –sewer rats.” Quote from Angel of Song by Anne Rouen. 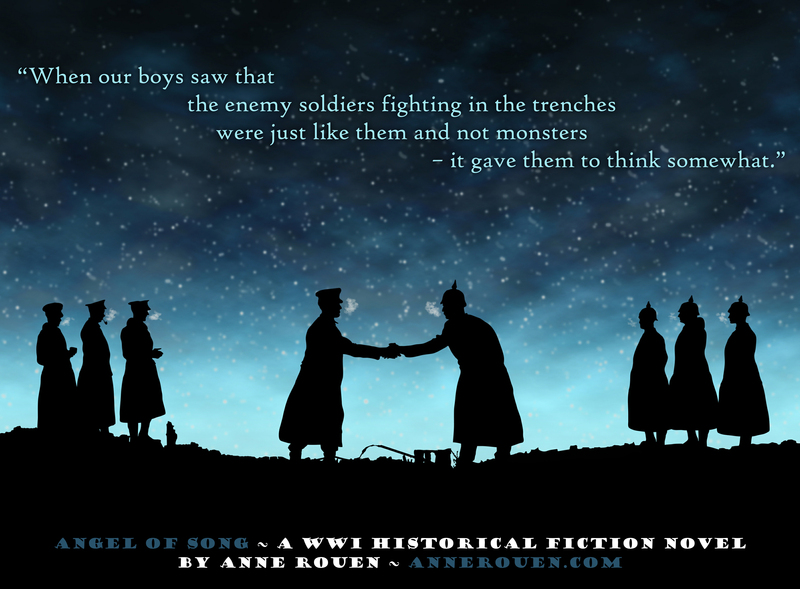 “When our boys saw that the enemy soldiers fighting in the trenches were just like them and not monsters – it gave them to think somewhat.” Quote from Angel of Song by Anne Rouen. 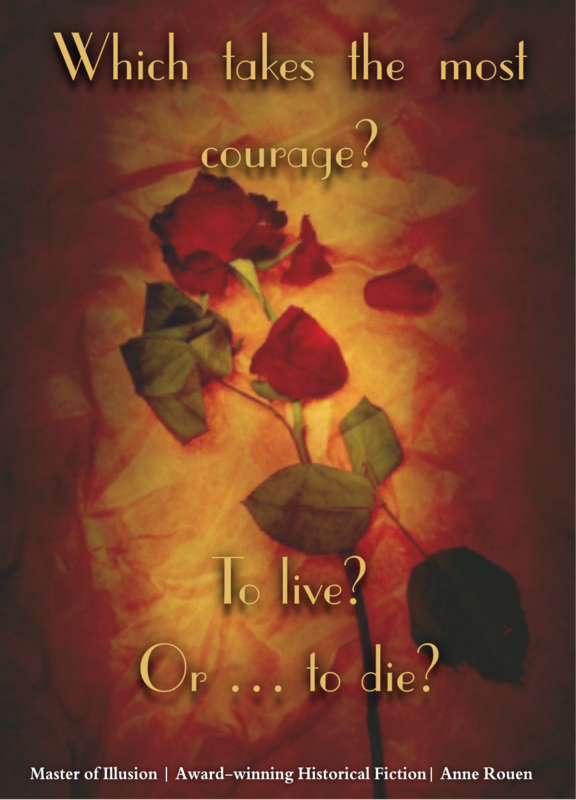 “Today I questioned in my heart whether we could win this war. 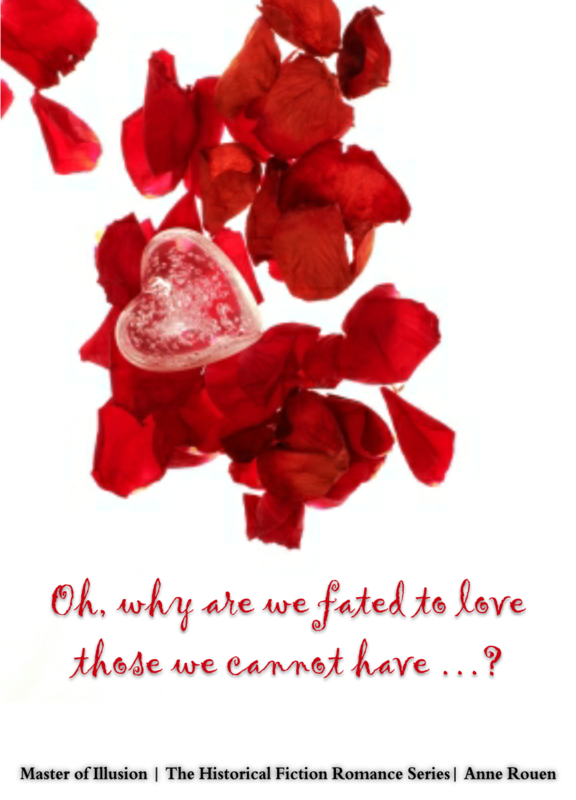 I wondered what the point was of suffering the way we all have, for no apparent gain and many great losses … But then, tonight, when I heard your beautiful voice, I realised that the Allies have a secret weapon after all; and I knew then that God is on our side, for he has sent his Angel of Song to inspire us in our darkest hour.” Quote from Angel of Song by Anne Rouen. 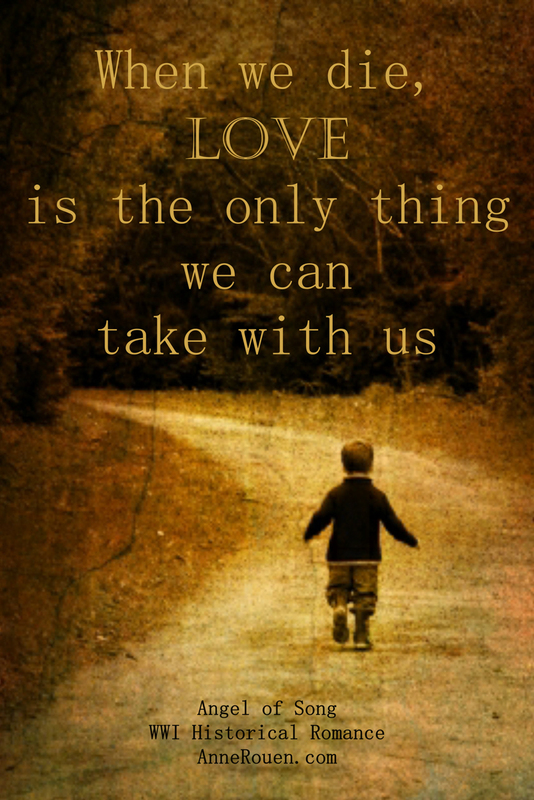 “One day you will meet someone who will show you what you are made of. 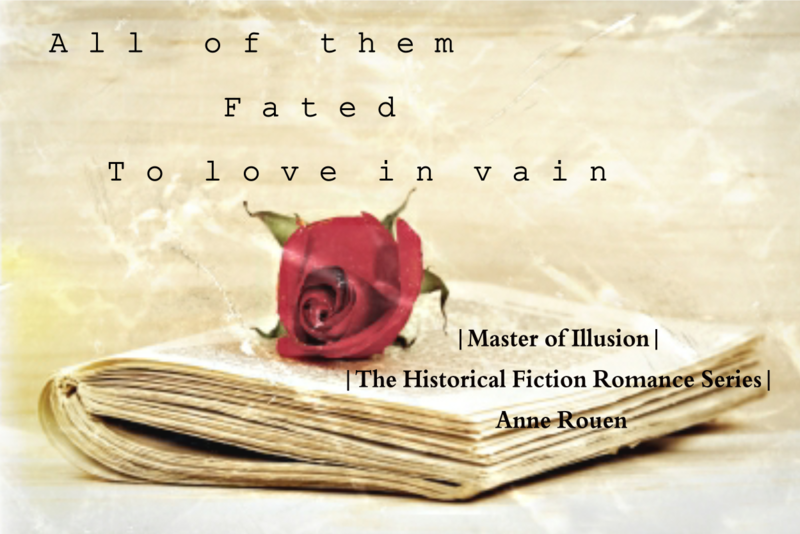 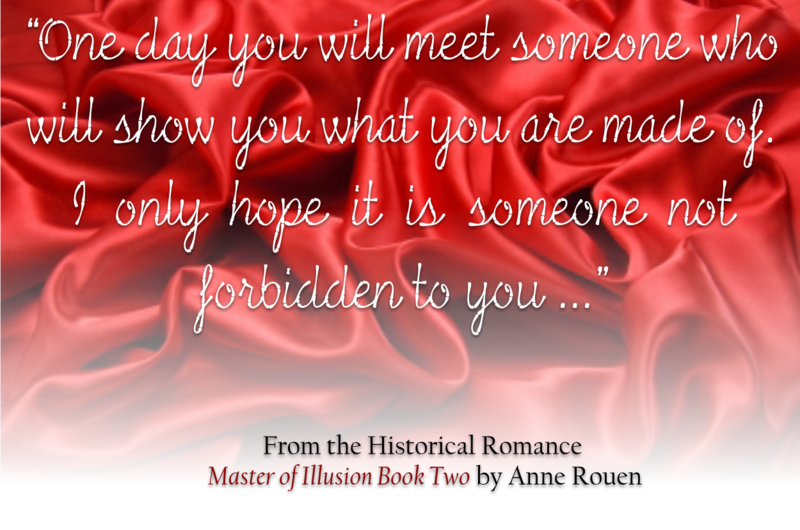 I only hope it is someone not forbidden to you …” Quote from Master of Illusion Book Two by Anne Rouen. 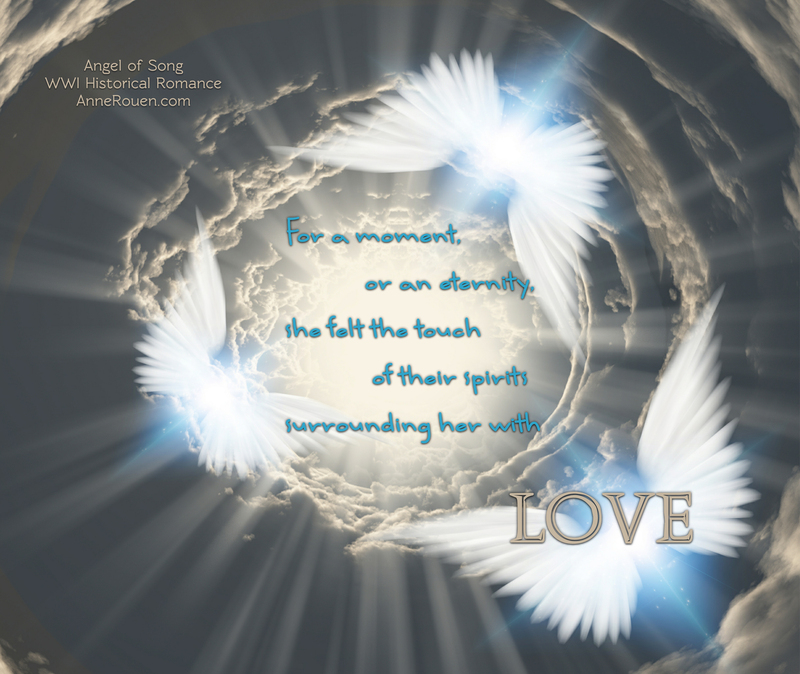 “For a moment, or an eternity, she felt the touch of their spirits surrounding her with love.” Quote from Angel of Song by Anne Rouen. 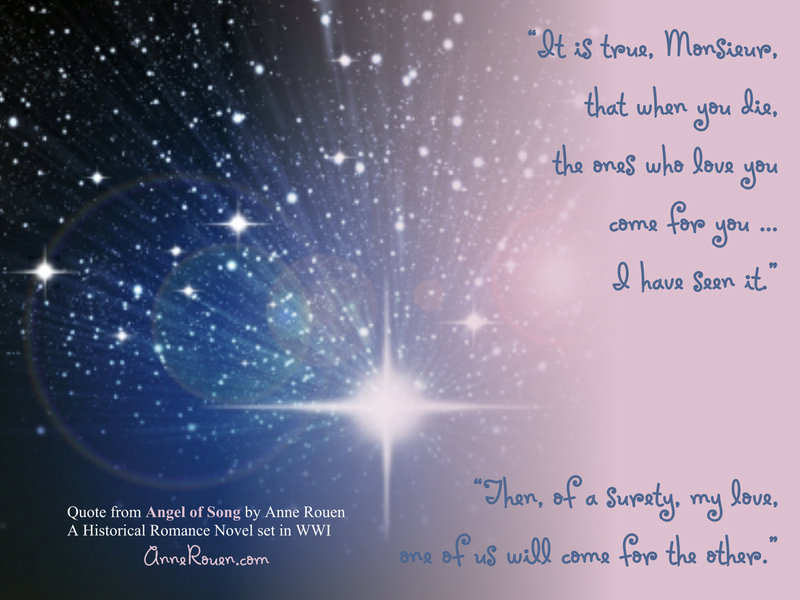 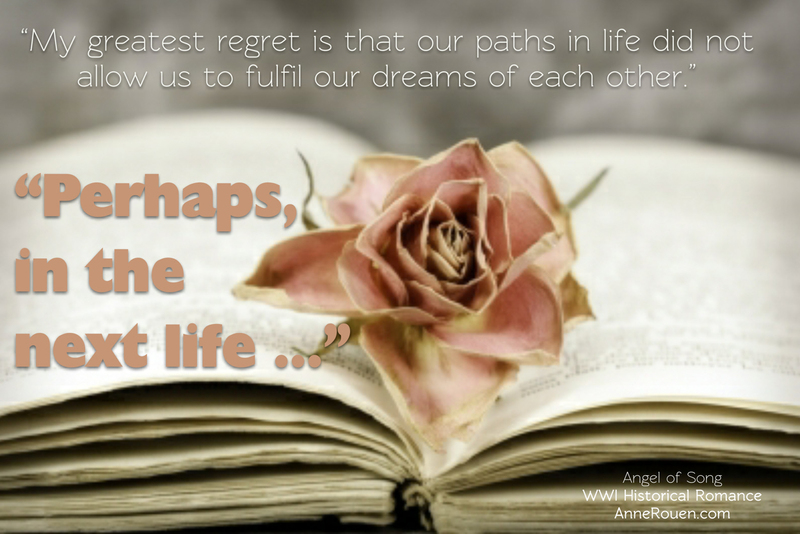 “It is the way of the world for good, honest fellows to be the pawns of evil men; but I have never seen the like … And I hope I never do again.” Quote from Angel of Song by Anne Rouen. 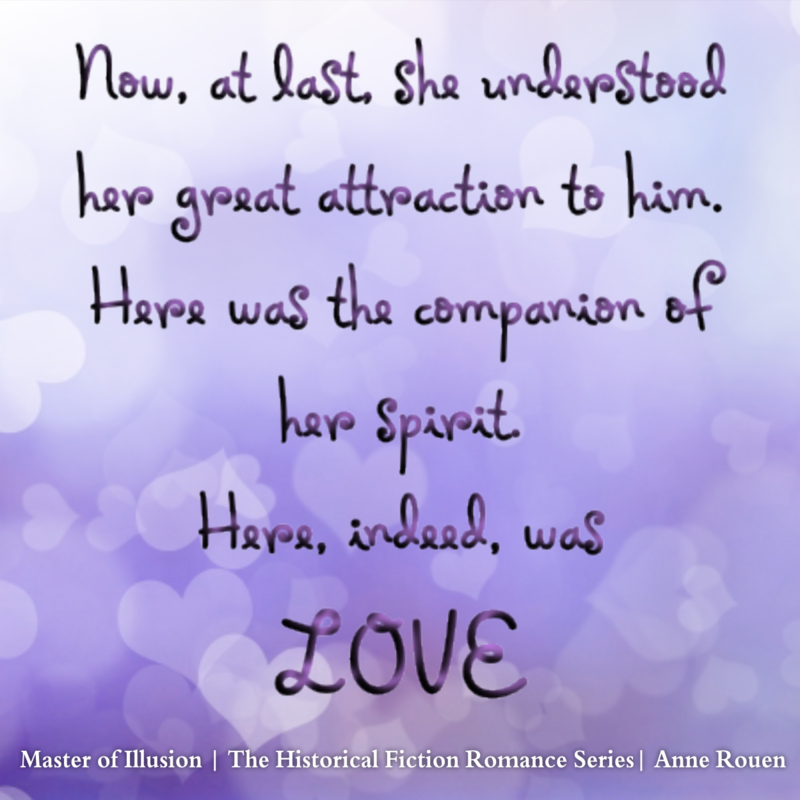 “Now, at last, she understood her great attraction to him. 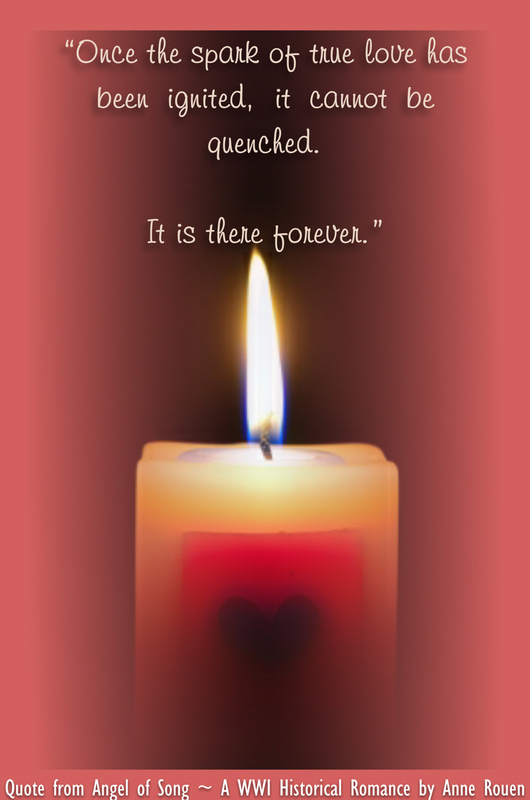 Here was the companion of her spirit. 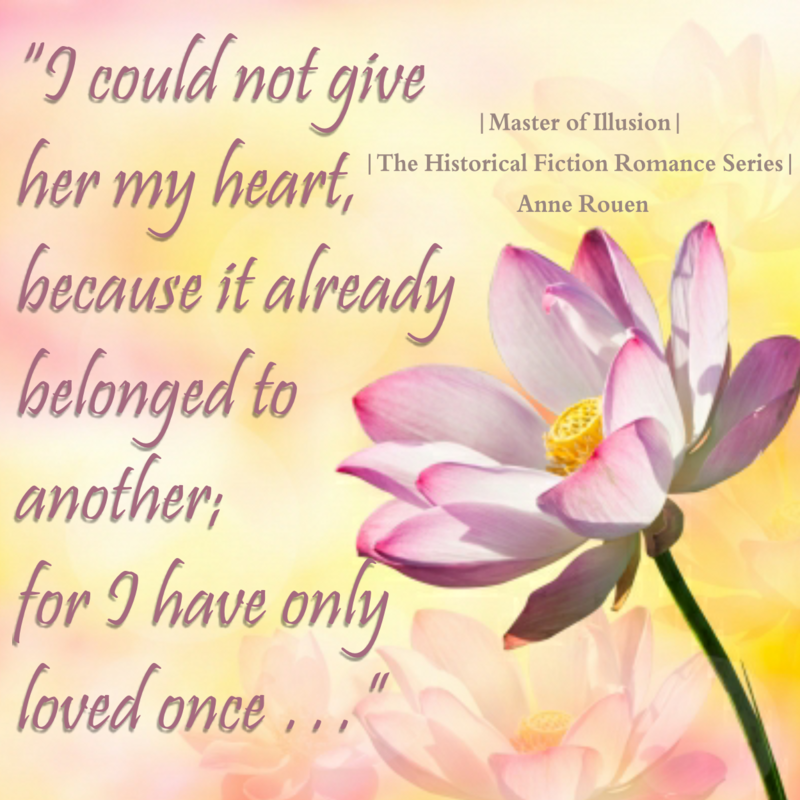 Here, indeed, was love.” Quote from Master of Illusion Book Two by Anne Rouen. 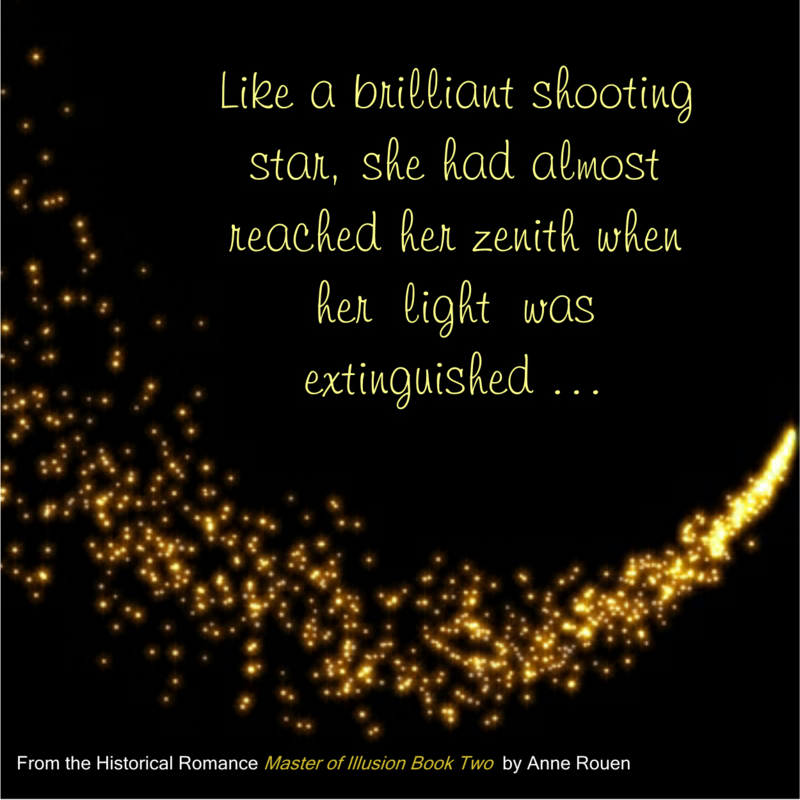 “Like a brilliant shooting star, she had almost reached her zenith when her light was extinguished …” Quote from Master of Illusion Book Two by Anne Rouen. 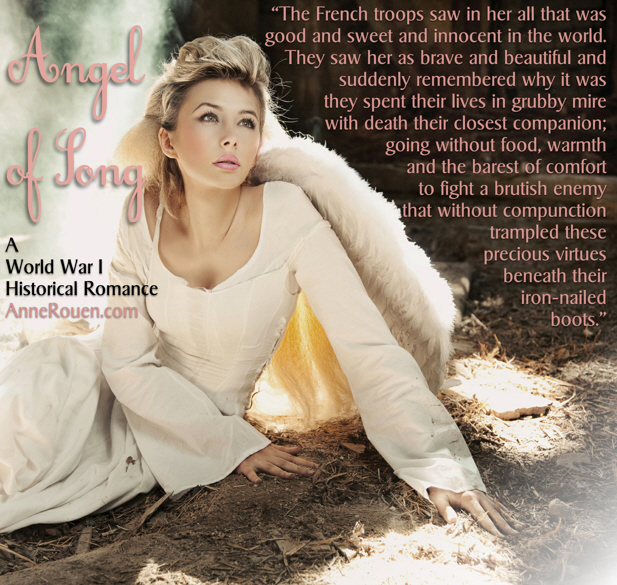 “The French troops saw in her all that was good and sweet and innocent in the world. 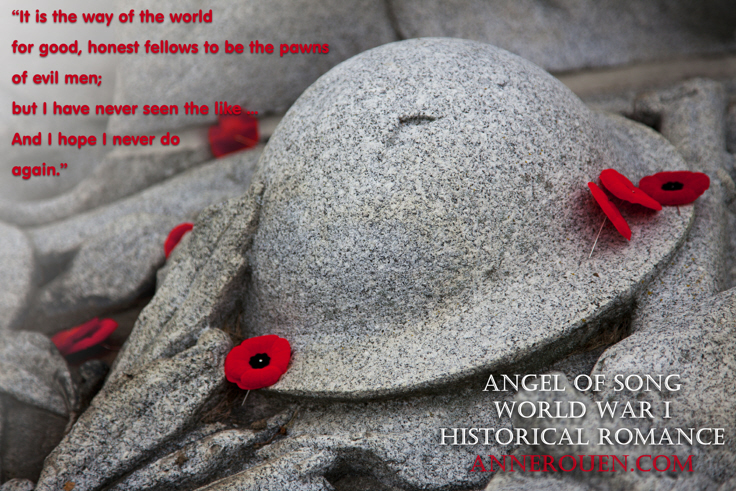 They saw her as brave and beautiful and suddenly remembered why it was they spent their lives in grubby mire with death their closest companion; going without food, warmth and the barest of comfort to fight a brutish enemy that without compunction trampled these precious virtues beneath their iron-nailed boots.” Quote from Angel of Song by Anne Rouen. 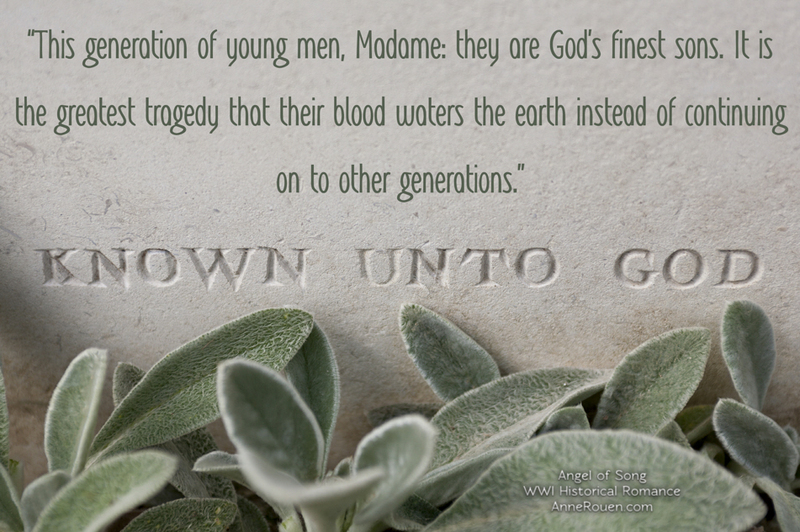 “This generation of young men, Madame: they are God’s finest sons. 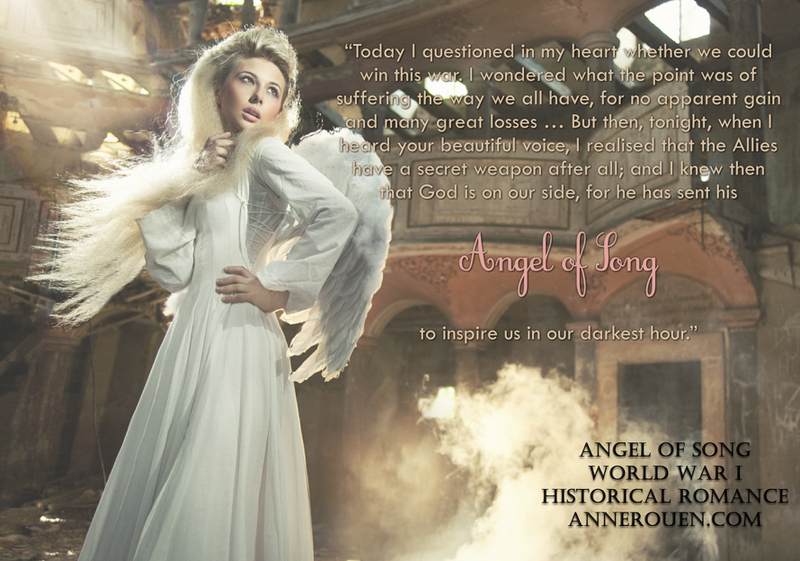 It is the greatest tragedy that their blood waters the earth instead of continuing on to other generations.” Quote from Angel of Song by Anne Rouen.